I was a mother long before I had a baby in my arms. Now two and a half years had passed, two babies had been born. And here I was with empty arms. Walking through New York City, taking the subway, in silence. Those were the moments that hit me like a ton of bricks. The empty quiet surrounded by a million people. I wanted to scream. 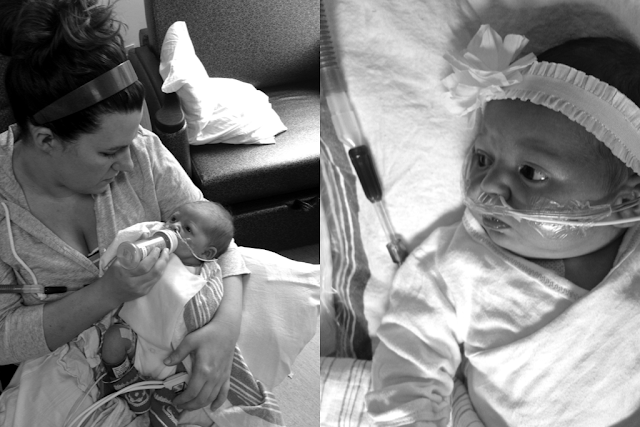 I wanted to shout like a crazy person, "my baby is dying!" Instead, everyone sat together, in silence, waiting for the next stop. Waiting for some relief, waiting for good news, waiting for hope to walk in the room. It felt like I waited for motherhood for a decade. Two years of hoping and waiting for Parker was painful and life changing. Moments of motherhood were both cherished and taken for granted. Motherhood is such a beautiful gift, full of sweet moments in the dark, little hands reaching for comfort, and soft nuzzles made by perfect smelling heads. Those are the moments that make mothers. As I sat strong and brave in the PICU, Bed 7, my walls slowly crumbed around me. It felt like my motherhood was being revoked. I could not change Matilda's diaper, I could not rock her to sleep, I could not feed or bathe her. Most days I focused on what I could do. I could hold her hand. I could read her books. I could sit with her snuggled in my arms. And while I did those things, I daydreamed of a time when we would be back home. Of a time when I could once again nurse Matilda. I daydreamed of normal moments. And then, like an explosion in the room, it was confirmed. I was told that I would never be able to breastfeed Matilda again. With the diagnosis of neonatal hemocromotosis, the antibodies in my milk would make her sick. I sat holding Matilda, tears streaming down my face. I could not let go of that image of us sitting on the couch back at home, nursing Matilda, with Parker snuggled on my other side. I could not, I would not let it go. Three doctors that day told me the same thing. I wrote something on Facebook that day, about how sad I was, and how hard it is to have something like that taken away. People responded kindly, but the one comment I will never forget was a simple, "I love you" from Tyler who was sitting behind me in the room. Motherhood is about never giving up. To hope so hard. To dream so big. To let yourself feel pain. I kept on daydreaming, I kept on pumping, I kept on hoping that someone would tell me something different. And it turns out that breastfeeding after a liver transplant is possible. At four months old, I put Matilda back on the breast and she latched on. I nursed her for a full year from that point on. Motherhood does not come with a clear definition but it does come with challenges. It is how we react to setbacks and disappointments that defines us. And in this moment, I am proud. me, you, or generation gap?